AC-90 is the No. 1 choice multipurpose lubricant. 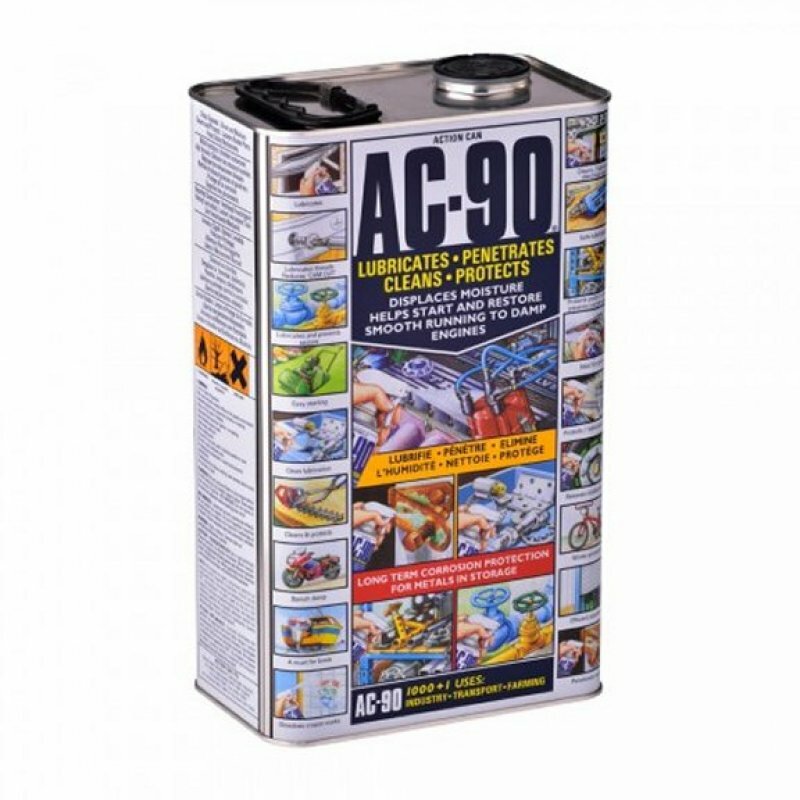 AC-90 is an industrial spray lubricant. AC-90 does not contain Silicone or CFCs. AC-90 will penetrate and release rusty and/or jammed components. AC-90 displaces moisture from vehicle ignitions systems and aids starting and smooth running. 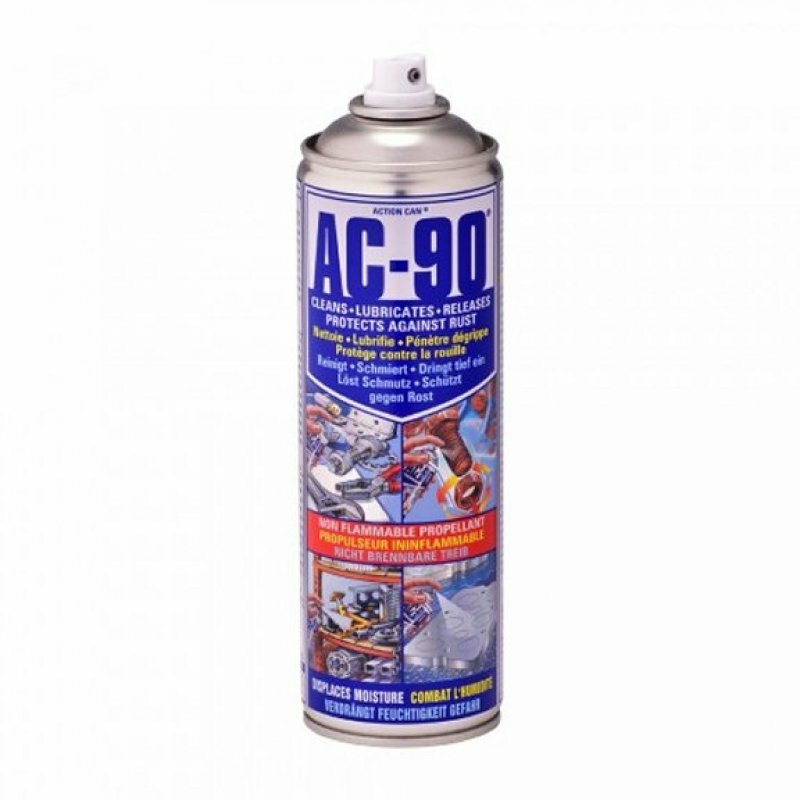 Simply spray AC-90 over the exterior of all distributor leads, spark plug leads and all electrical components to prevent moisture induced faults.AC-90 cleanly lubricates and restores smooth, silent operation to hinges, locks castors, drawer runners and curtain tracks. AC-90 multipurpose lubricant will stop sticking and squeaking. AC-90 cleans all metals and removes bloom from enamel surfaces such as fridges, cookers and stainless steel sinks. 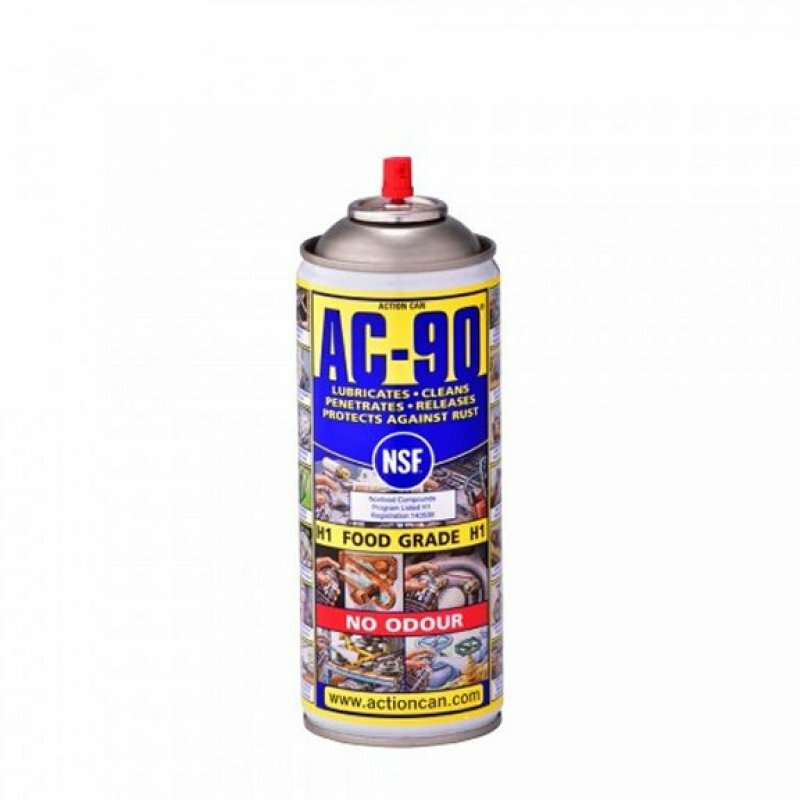 AC-90 removes dirt, grime, lime scale, crayon marks, chewing gum and adhesives. AC-90 degreases and leaves an anti-rust protective film. AC-90 is ideal for protecting metal components during storage or manufacture. AC-90 de-scales taps and showers. AC-90 does not conduct electricity within the normal range found in home or industry. AC-90 is the perfect multipurpose lubricant cleaner formulation for all around the workshop, garage and factory.AC-90 does not contain odourless kerosene which can give rise to skin problems. AC-90 is available in various size aerosols, with both standard propellant and with a special non flammable propellant which is Ideal for use in some industrial locations where a flammable propellant aerosol is considered inappropriate. AC-90 is also available in 5/25/200 litre drums with a purpose made applicator which has all appropriate health and safety data printed on the body. AC-90 Multipurpose lubricant is approved for quality by Jaguar Cars Limited, J.C.B., Audi Volkswagen and British Gas. AC-90 formulation is the only lubricant /cleaner product approved by A.E. Technologies for use on the UK National Grid electrical system.